Need to tote your treasures around? 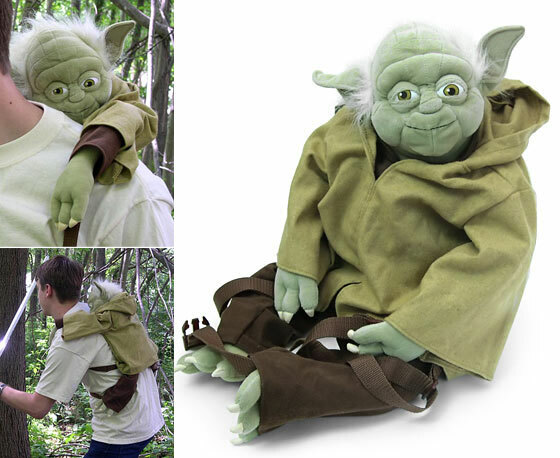 Let Yoda give you a hand. This Star Wars-themed pack features a large zippered pouch so you can stash your coolest Star Wars gear – or anything else. The straps are adjustable, so it’s sure to be the right fit. Measures 24″ x 12″ x 4″. 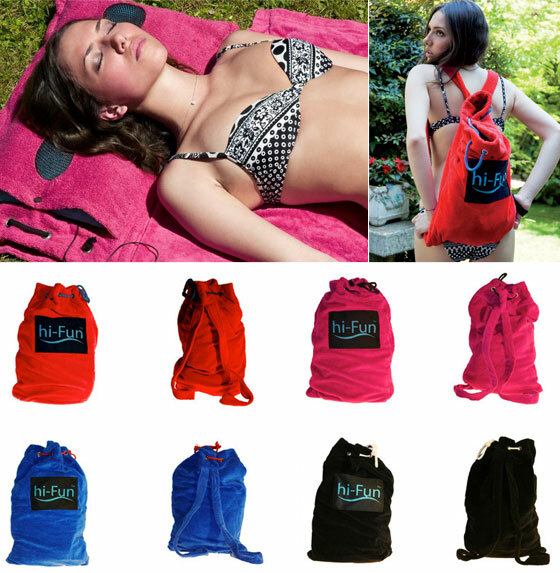 hi-Fun incredibly incorporates four products in one: a backpack, a beach towel, an inflatable pillow and speakers! Compatible with: iPhone family, iPod family and every music source through universal jack 3,5 mm. 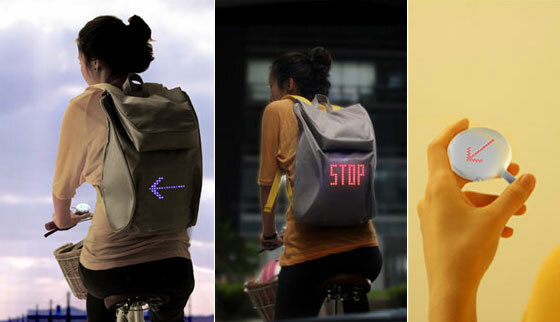 SEIL backpack by Lee Myung Su uses LED lights to display traffic signals. Simply by controlling the detachable wireless controller, the user can show directional and emergency signals on the back of the backpack. Need a backpack? Chewbacca’s got your back! Well, actually in this case, he really does have your back. 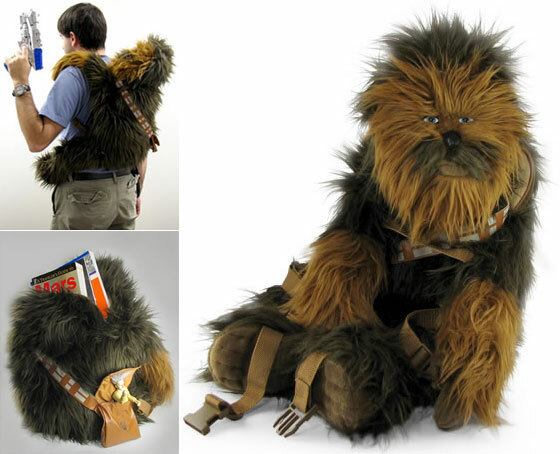 Behold, the Chewbacca Backpack Buddy. Have a wonderful wookie protecting you each day. 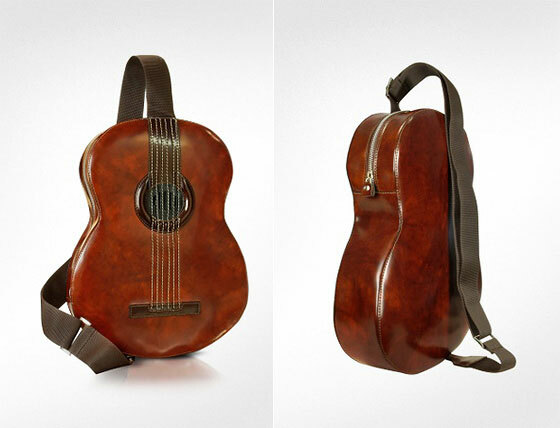 Ideal for music lovers everywhere this unique guitar bag by Pratesi in vegetable-dyed calf leather features a built in a mini speaker and outlet for your MP3 player. Inner slit and zip pockets along with adjustable shoulder strap complete the look. Two AA batteries and signature dust bag included, Made in Italy. This BUILT Laptop Backpack let you close your laptop, looks like a bulletproof jacket. In sling position, the bag easily swings around from back to front providing quick draw access to your main camera amp; accessories via a quick release clip with single pull opening of the camera compartment door. All 3N1 models provide superior camera protection with features such as TST RIB structural protection, ample padding and reinforced corners to ensure that your camera does not fall from the bag when in sling mode. Large top compartment will hold personal gear or additional gear, and the internal pockets and MP3 player pouch will allow you to organize your personal effects as efficiently as your photographic gear. 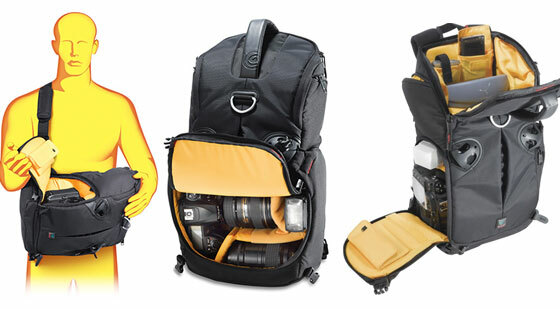 The divider between the top and camera compartments can also be unzipped to create a larger camera compartment that allows larger camera lenses to remain attached to the camera when in sling mode. 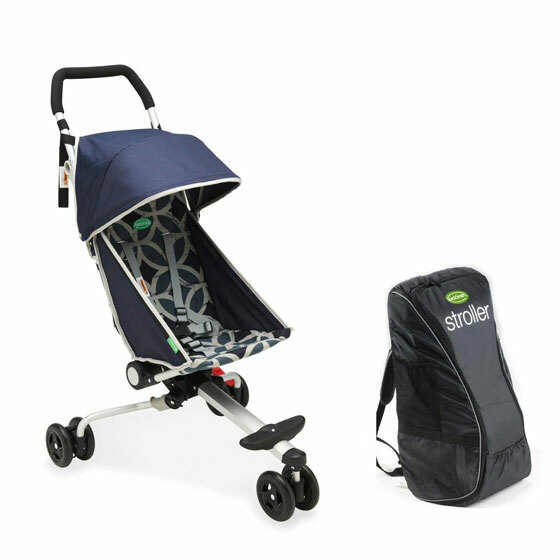 The fullpack is the mack daddy of all the MadPax built for kids on the go. Store your books or guard your gear with a style that says you are one-of-a-kind. A stand out series for those who want to stick out from the crowd. High schoolers to mini rollers, all are welcome. Designers of Cuclus were inspired by one of the most unusual mammals on the planet – Pangolin. And the same name was given to this backpack. Backpack consist of several segments, which, shifting relative to each other, open access to the inside of it. Backpack closes on magnetic clasps. 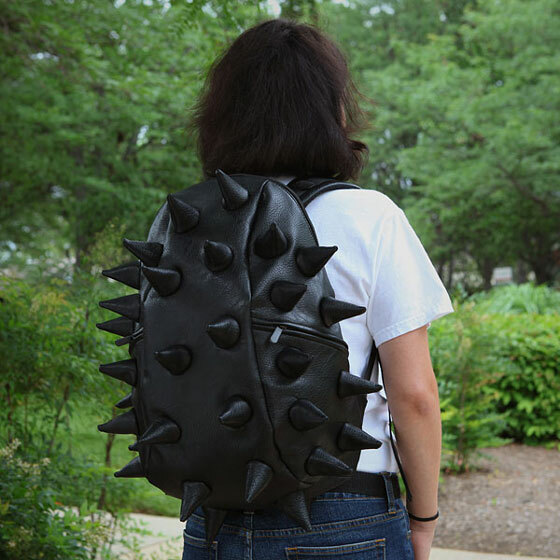 As were noticed by developers the backpack automatically adjusts to the different physical characteristics and posture of the owner, which makes its use as comfortable as possible. 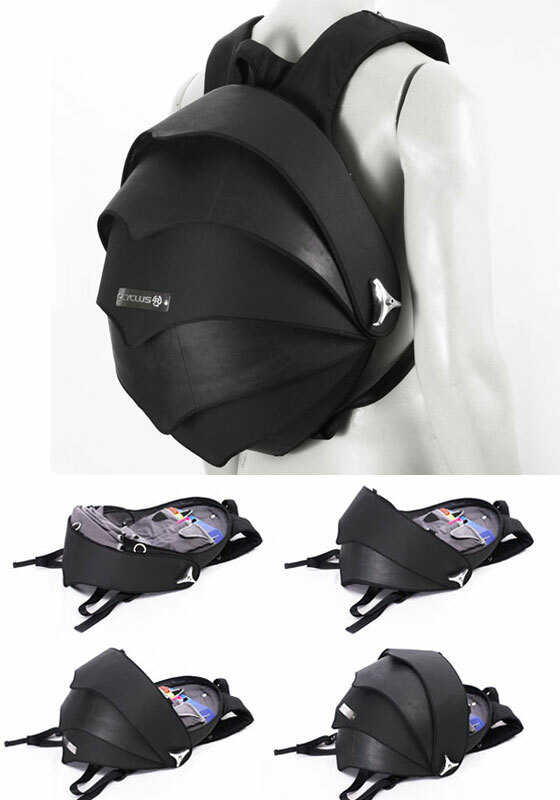 Meiosis backpack designed by davidi gilad, is an equipment bag which was developed to utilize the physical properties of the elastic materials in which the bag is made. It is constructed from rugged geometric polygonal shapes that harness the tension of the elastic fabrics, which is gained by attaching the rugged parts to the while they are stretched on a frame. 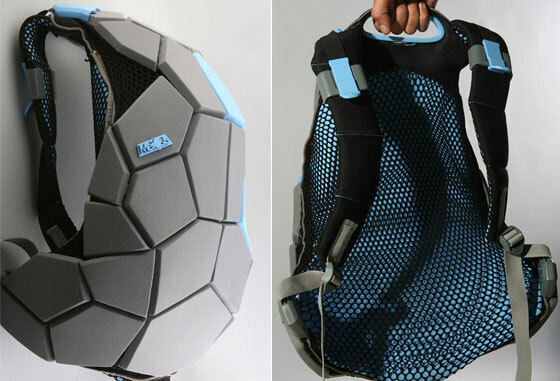 When released, the geometric shapes prevent the fabrics from shrinking back, resulting in the bag’s form and structure. the tension and flexibility of the design maintains its shape while it is opened and closed. 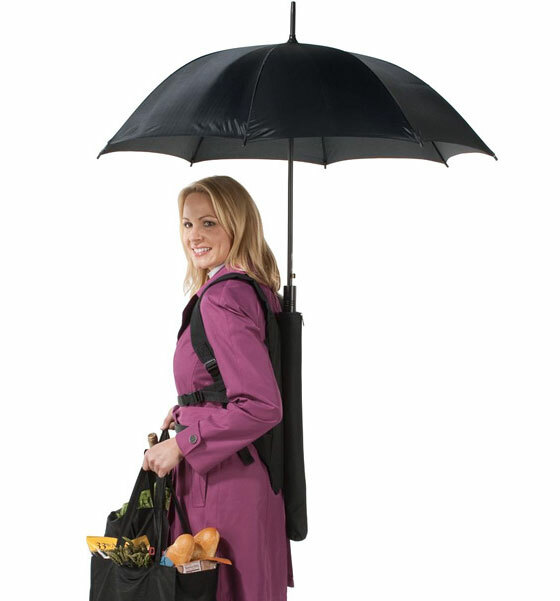 There are so useful and funny things! :) Thanks for sharing.